What are the distinct advantages of using it for your software application or website? What types of applications is PostgreSQL best suited for? In which scenarios would it be better to choose MySQL? You’ll learn the answers to these questions and more. Plus I’ll share three of my recommendations for PostgreSQL hosts, based on my experience as a software engineer. PostgreSQL is a database management system (DBMS) that’s designed to compete with applications such as MySQL and MS SQL, two popular Linux-based and Windows-based Structured Query Language (SQL) solutions. Used to store, sort, edit and serve data stored in databases to websites, applications, and more, this open-source, relational DBMS enjoys growing support among developers and hosting providers alike. What are Database Management Systems? The term “database management system” (DBMS) may not be at the forefront of your mind as you choose a hosting provider for your website, but a DBMS is more integral to most websites than you might think. These applications are invaluable in the storage, editing, and serving of data big and small to apps and websites around the Internet. For anything other than the most basic static HTML website, using a DBMS is essential for storing data. You may have heard of other DBMS solutions like MS SQL or MySQL. Many popular CMS (content management system) applications, including WordPress, Joomla, and Drupal, all store their data using MySQL. The data that’s stored includes not only blog posts, but individual headlines, comments, users, numerous post revisions, and more. 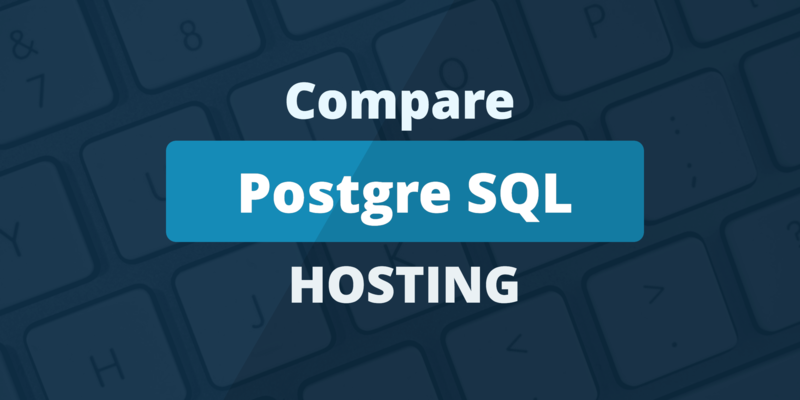 Who's Best for PostgreSQL Hosting? We think SiteGround is a solid choice for PostgreSQL enabled web hosting plans. (Billed as $6 Per Month) ⓘPrices in are approximate, based on current exchange rates. The host will likely charge you in USD, or at a different exchange rate. The majority of hosting providers offer comprehensive support for industry favorites such as MS SQL and MySQL, the premier Structured Query Language (SQL) DBMS for Windows and Linux servers, respectively. However, alternative open-source solutions like database veteran PostgreSQL are growing in both popularity and availability. What are the Advantages of PostgreSQL? Billed as “The World’s Most Advanced Open-source Database,” PostgreSQL is a powerful, flexible, and absolutely free DBMS. Descended from a research project begun in the ’70s at the University of California, Berkeley, PostgreSQL has offered SQL support since the mid-’90s. PostgreSQL’s open-source nature has led to many crowd-sourced refinements and performance enhancements over the life of the application, as well as extensive documentation available online. The PostgreSQL License also gives all users the ability to adapt and modify the source code to their needs, making it ideal for complex, customized uses. How is PostgreSQL is Different from Other DBMS? Ability to interface with PostgreSQL databases using the language of your choice: C/C++, Java, .Net, Perl, Python, Ruby, and others. Many extensions available for added features. While MySQL might be a popular solution for bloggers, PostgreSQL has come to be the most popular relational DBMS by far among database programmers. What are the Primary Uses for PostgreSQL? PostgreSQL is used primarily for commercial websites and applications because of its power, flexibility, scalability, and ease of use. PostgreSQL is used to manage all kinds of data in a variety of industries. These range from aeronautical design, to medical records and billing, to managing ticket sales and promotional data for big sports organizations. When Should I choose MySQL over PostgreSQL? If you run a small website, you might consider MySQL instead. For all its qualities, PostgreSQL isn’t always the best choice. For simple databases, MySQL may use fewer system resources and run faster. Some popular software packages, such as WordPress, require MySQL. It’s best suited for situations that require heavy custom coding or have strict data integrity requirements. What are the Benefits of Using an Object-Relational Database? The PostgreSQL database management system is an “object-relational” system. It’s strongly compliant with ANSI SQL, more so than most popular database management systems. However, web developers find relational programming awkward, and the mismatch is the source of a lot of bugs. Database bugs are a leading source of security problems. PostgreSQL lets developers take a more familiar object-oriented approach to the database server. This leads to greater productivity and making better use of the database. If necessary, everything they do can be converted to plain SQL without compatibility issues. Third-party extensions are available to define object types for specialized problem domains. They add new data types, provide integration with other software, or add ways to export and import data. What do I Need to Know About PostgreSQL Hosting? If you’re planning to develop applications or need to manage a large amount of data, know that PostgreSQL is free and available for public download. Adding it to your web server should be relatively straightforward, providing your hosting package meets the requirements. Most modern servers, whether Linux – or Windows-based, should be able to run PostgreSQL. Many hosts also offer native support for PostgreSQL as a part of their hosting packages. Support for languages such as Perl and Python is optional, but packages are available to integrate them with the DBMS. Remember to check with your host before adding any application or service you think might not be supported by your hosting package or server. Web-based management of a PostgreSQL server is simple with the open-source phpPgAdmin control panel. It’s similar to phpMyAdmin for MySQL databases. What is phpPgAdmin Used For? Most administrative tasks don’t require writing any SQL statements. Another tool that does the same task is PgAdmin. It may be less familiar to administrators coming from a MySQL background, but the difference is mostly one of taste. PostgreSQL hosting is widely available, and it’s well suited to everything from small local databases to giant corporate systems. If you aren’t sure where to begin when it comes to choosing a PostgreSQL-friendly web hosting provider, check out our picks below! A2 Hosting provides PostgreSQL 9.4, which isn’t the latest version but is close. It’s included with all shared hosting plans and with its Linux reseller plans. Customers can manage database users and create databases from the cPanel control panel. Alternatively, they can launch phpPgAdmin from cPanel. Other attractive features include international data centers and a 99.9% uptime guarantee. InMotion’s shared servers all come with PostgreSQL and phpPgAdmin pre-installed. Customers with VPS or dedicated servers can install it themselves. Support by phone, chat, or email is available 24 hours a day. SSD storage and secure SSL access are included. Disk space and monthly data transfers are unlimited. InMotion can be especially appealing to small businesses in North America. 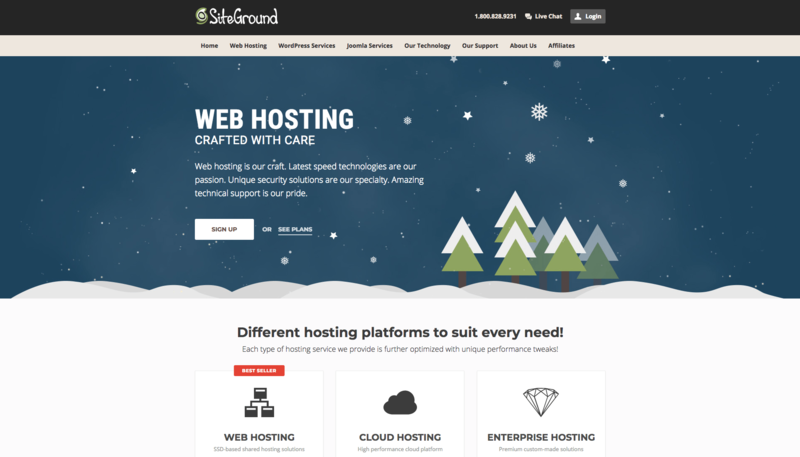 SiteGround boasts of a craftsman approach to PostgreSQL hosting on its shared plans. These plans come with phpPgAdmin installed and promises easy PostgreSQL management. SiteGround keeps up with the latest version of the software. 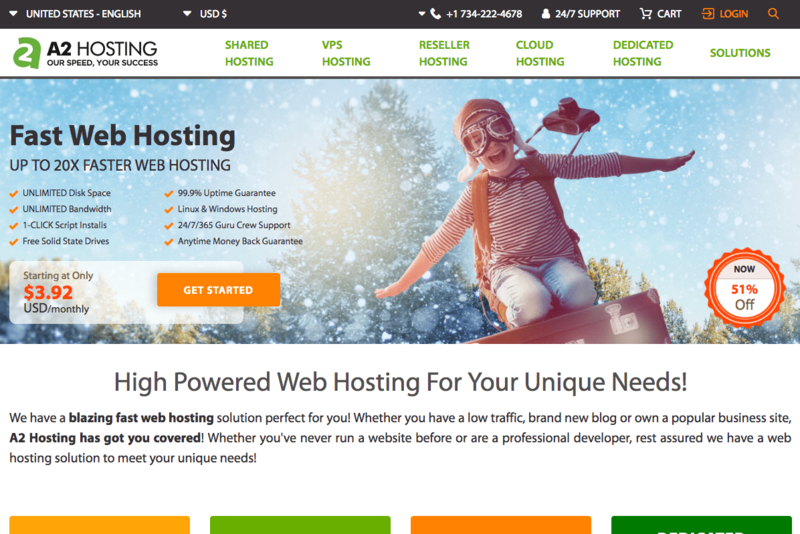 With features like SSD storage, free SSL, cPanel, and the Cloudflare CDN, it’s a solid choice as a hosting provider. PostgreSQL is also available on dedicated servers and cloud hosting. PostgreSQL is an open source, object-relational database. It is sometimes simply called ‘Postgres’. PostgreSQL was founded as a successor to the Ingres database. Its name is a contraction of ‘post-Ingres’. A traditional relational database organizes data in related tables. Object-relational databases build on this by adding support for classes, objects, models, and inheritance. It’s developed by the PostgreSQL Global Development Group. 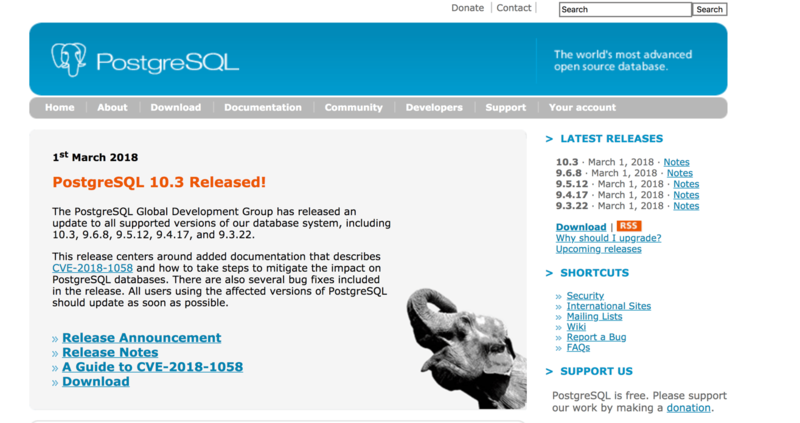 PostgreSQL is free, open source software. What is the PostgreSQL Licence? The PostgreSQL Licence is very similar to the GNU GPL that covers many open source applications. The PostgreSQL Licence allows any developer to use PostgreSQL free of charge, even if they are developing a commercial application. MVCC stands for multiversion concurrency control. It allows each transaction to be performed with its own database instance, doing away with the need to lock tables. What advantages does PostgreSQL offer? PostgreSQL is reliable and stable, and designed for intensive applications. It’s also considered to be one of the most secure databases available. PostgreSQL is very extensible. it can be modified and customized without any obligation to share the changes, making it suitable for commercial use. Does PostgreSQL have a graphical interface? Yes. You can download several graphical tools to help you interact and administer PostgreSQL databases. Does PostgreSQL require a Linux server? PostgreSQL is cross-platform. It will run on Mac OS X, Windows, Linux, and UNIX. PostgreSQL vs MySQL: Which is better? PostgreSQL is reliable and scalable, so it is popular in very large business applications. It’s also very secure. MySQL is better for web-based applications that require speed and simplicity. What are the disadvantages of PostgreSQL? PostgreSQL is not the fastest database. It can also be difficult to access good quality support online, and many hosts do not specialize in it. MySQL is the closest competitor to PostgreSQL. Users could also consider SQLite or Oracle. PostgreSQL vs SQLite: Which is better? SQLite is a very light-weight database ideal for embedded applications. It is not a good choice for the multi-user, high volume scenarios where PostgreSQL excels. How widely supported is PostgreSQL? 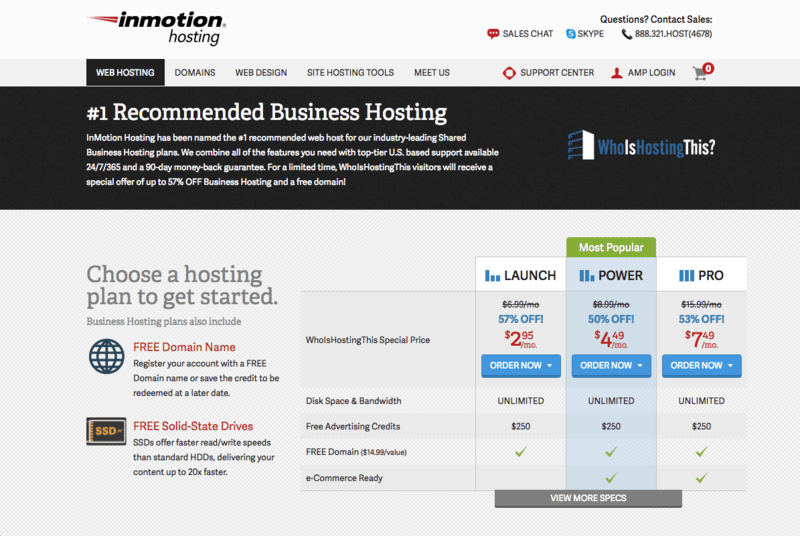 Many hosting companies support it, although it is not always offered on shared hosting accounts.